Hot Potato, Swedish chef style, with corn-y veggie puns galore. 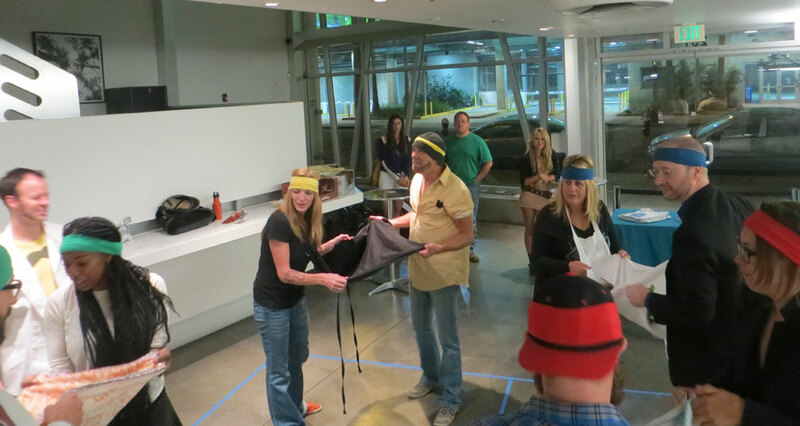 Teams of two use an apron to catch and throw veggies this way and that, but when the master chef says “SOUP’S ON” don’t be the last one to get your ingredient into the pot. It’s the game where you play with your food, so look alive or it could be a BEET DOWN. 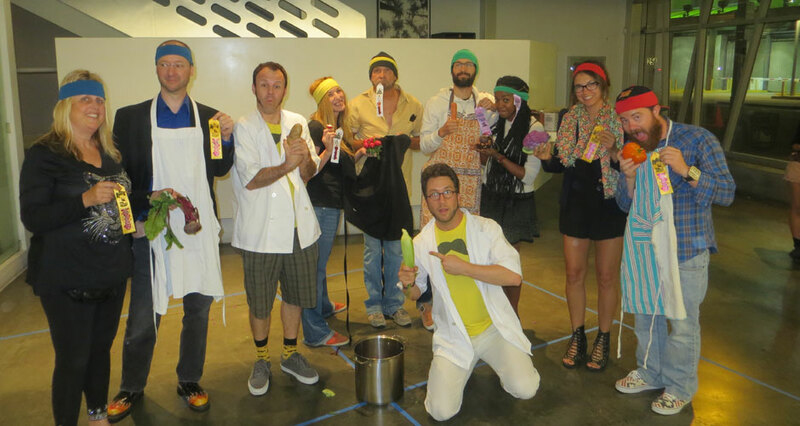 Wise Guys Events is LA’s premier source for real-life games. 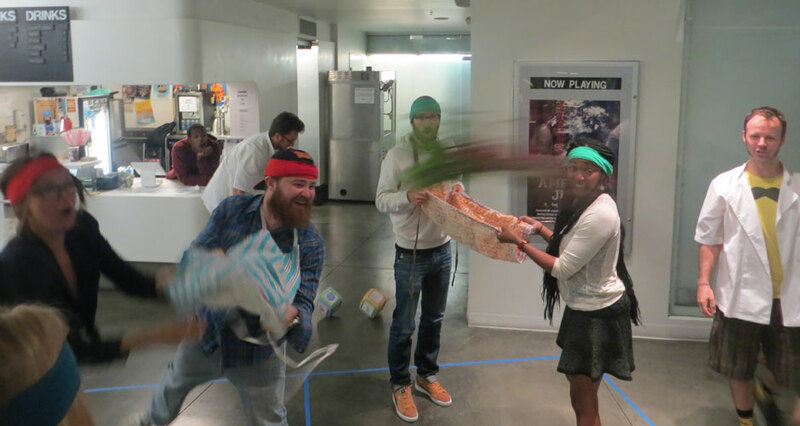 Myles and Greg have contributed challenges to Survivor, run corporate team building games, invented bachelorette party games, and enjoy spreading playfulness everywhere they go. Learn more at teambuildingandtraining.com.